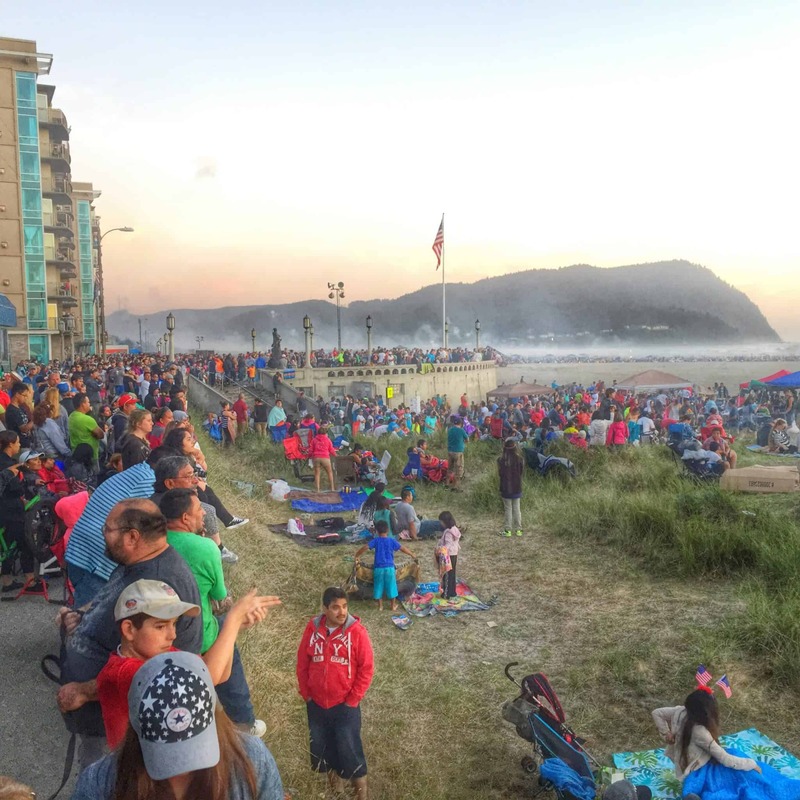 Seaside Oregon hosts the best 4th of July fireworks displays in the Pacific Northwest. Every year thousands of tourists from around the world travel to the Seaside beach to watch our amazing fireworks show. The fireworks display is so popular that you must stake out your beach spot early in the day before everything is taken. We usually watch the show down by 8th avenue to avoid the biggest crows. The area right around the turnaround is designated fireworks free and it’s illegal to light off your own fireworks. As you move down the beach in either direction they open the beach up for people who like to light off their own fireworks. Like usual, the Morrisey Productions crew was on the scene and took these 4th of July parade and fireworks pictures and videos. I hope you enjoyed the photography and videos of Seaside OR Independence day celebration and fireworks display. Follow our Seaside Oregon Instagram page to see the best Oregon Coast photos daily.